Some days, I crave a big hunk of red meat--especially in these turkey-and-ham filled days. But I like to serve it with some kind of sauce--something rich and meaty and that can hold its own against a piece of rare beef. 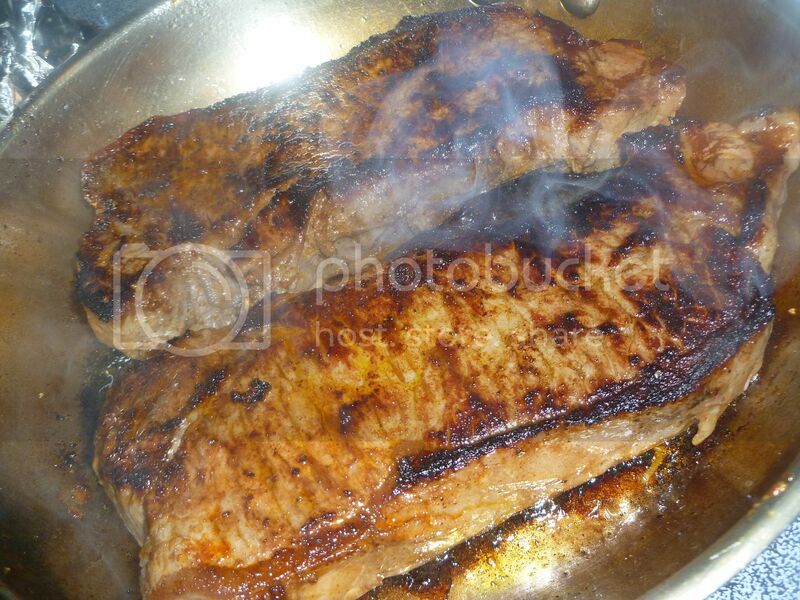 To prepare my steak, I rub it with a mixture of olive oil, Worcestershire sauce, paprika, salt, and pepper. 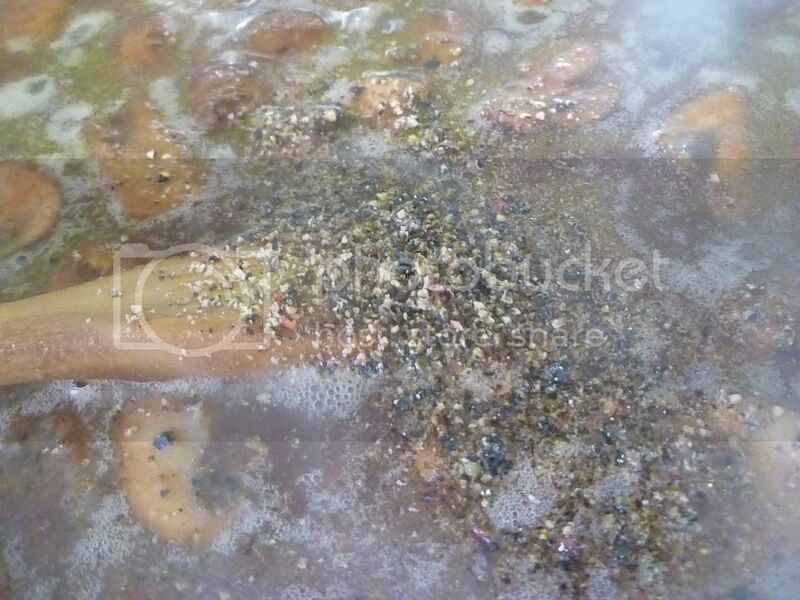 I let it marinate for at least 30 minutes, to let all the flavors come together. Once your steaks are seared, place them on a plate and set them aside. 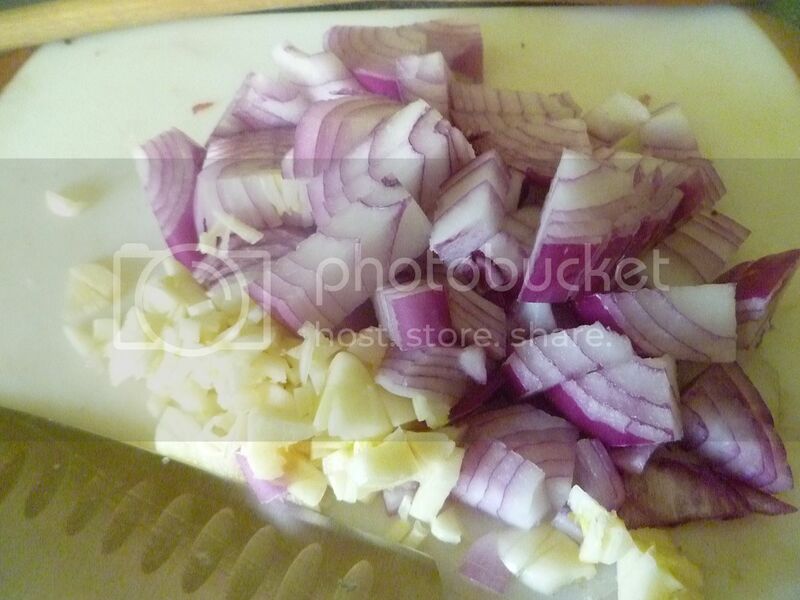 Now dice a few cloves of garlic and a small onion. Add the garlic and onion to the same pan you seared the steaks in. 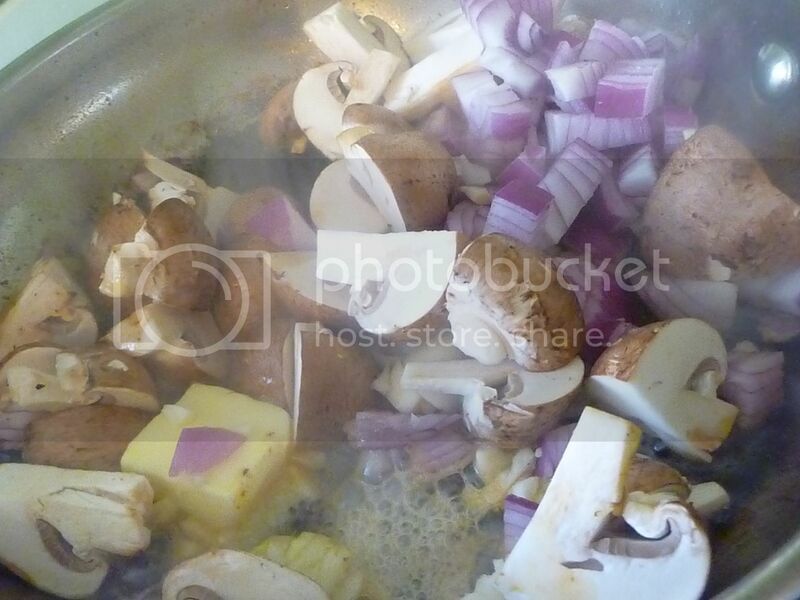 Add a pound of mushrooms (halved or quartered if you like.) And a pat of butter, to ensure everything cooks evenly. 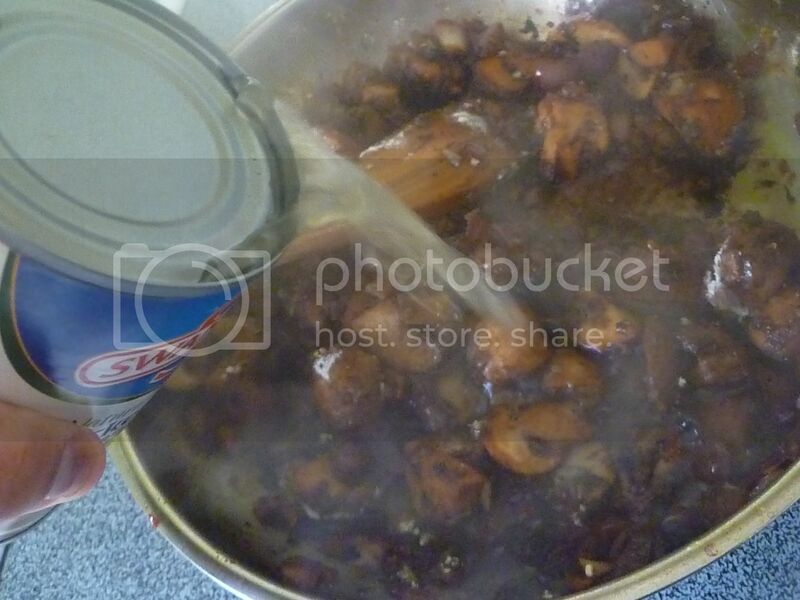 Saute the onions, garlic, and mushrooms until softened. 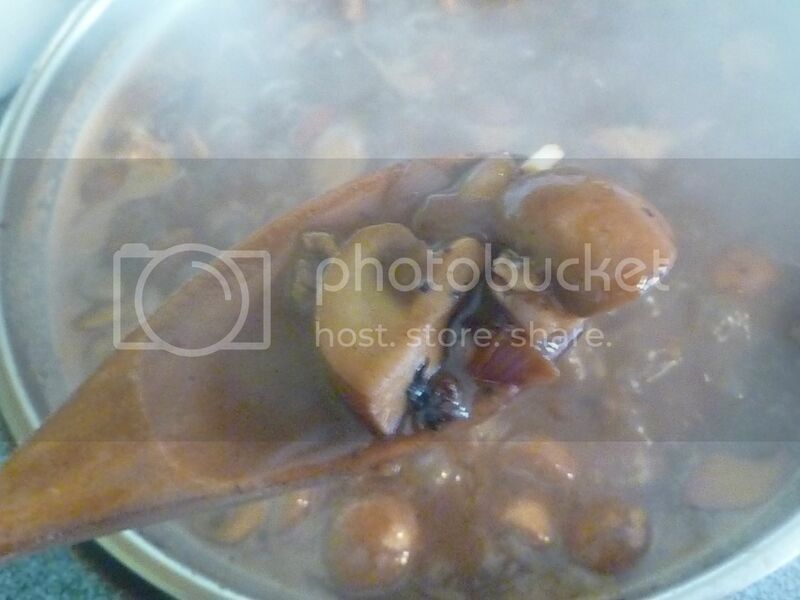 The mushrooms should soak up the meaty butter, and the garlic and onions should be giving off a nice, rich flavor. 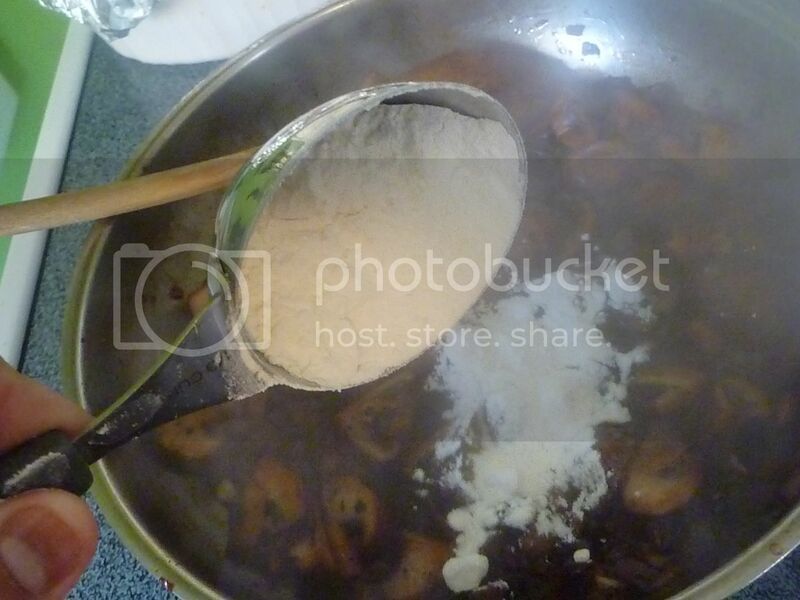 Once the vegetables are softened, you can add some flour. This will thicken the sauce a bit. There should be enough liquid from the butter and the vegetables, but if not, a bit of butter or oil will help you out. You don't want a sandy-looking roux. 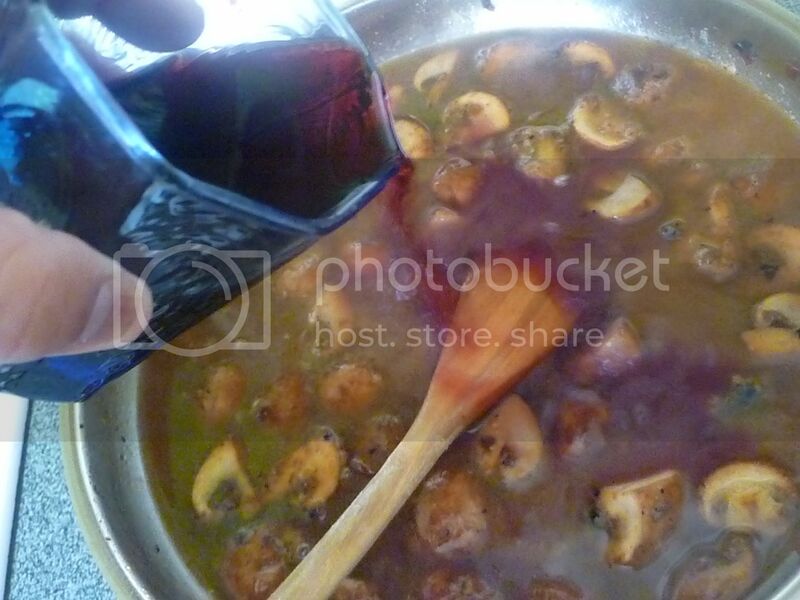 Half a cup or so of red wine will make your wine sauce a wine sauce. Taste the sauce, and salt and pepper as needed. It smells amazing. I could eat this as its own side dish. To add some "restaurant richness", add a pat of butter right before serving. 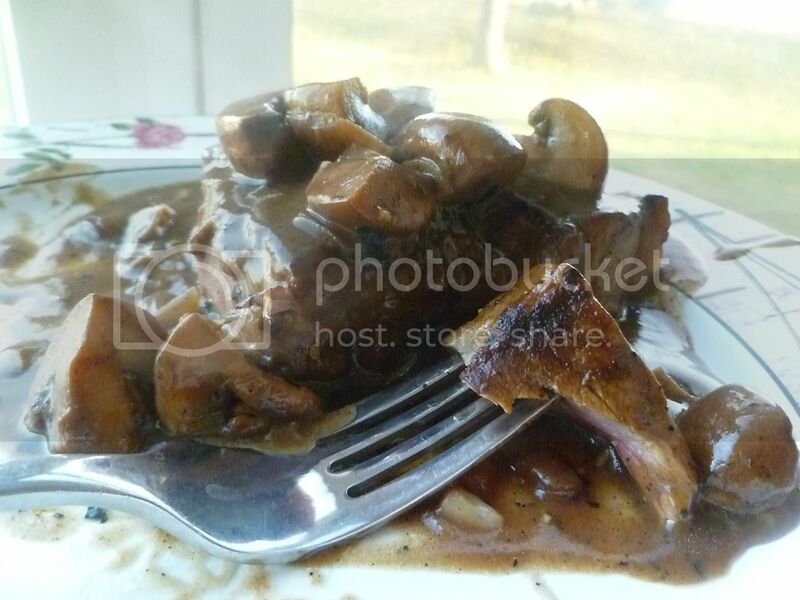 Pour your delicious mushroom wine sauce over your steak and serve! Season steaks with olive oil, Worcestershire, paprika, salt, and pepper. 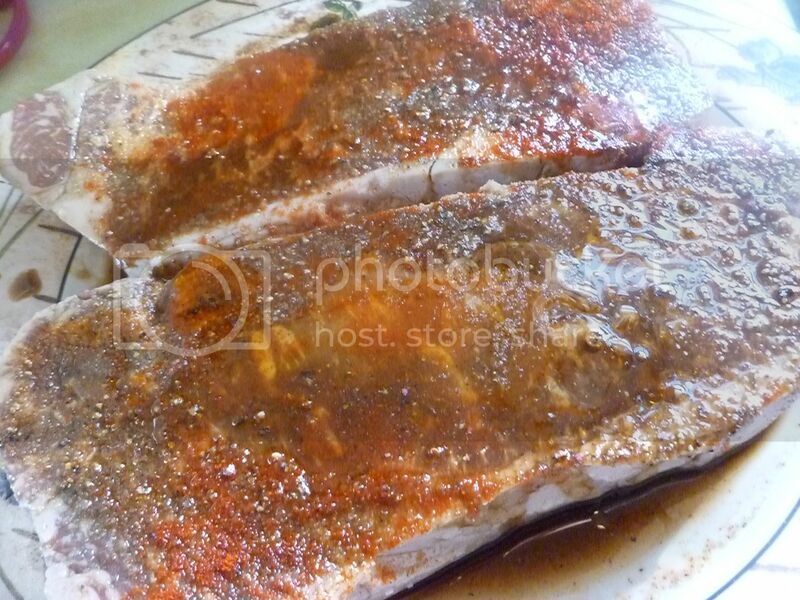 Let marinate for at least 30 minutes. 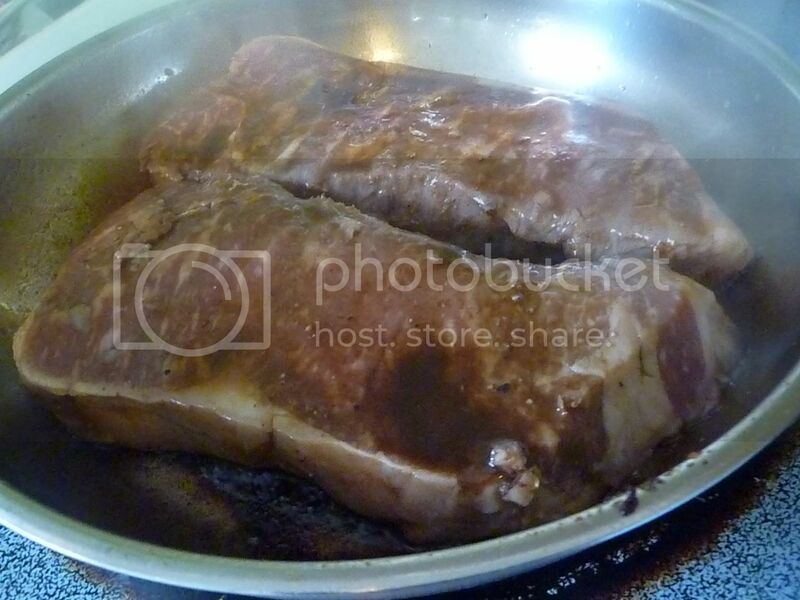 In a dry, non-nonstick pan, sear steak over medium-high heat for 2-3 minutes per side. Set cooked steaks aside. 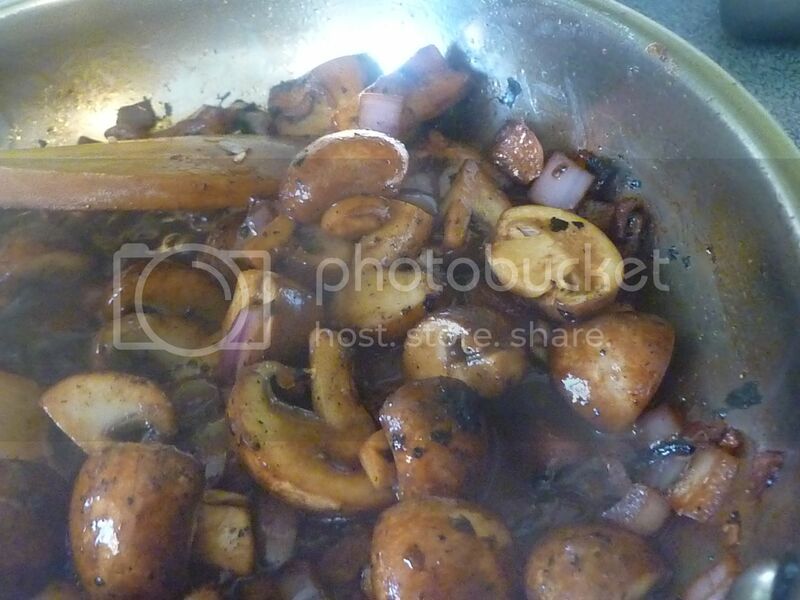 In the same pan, saute mushrooms, onions, and garlic with butter until softened. Add flour; stir well for about a minute. 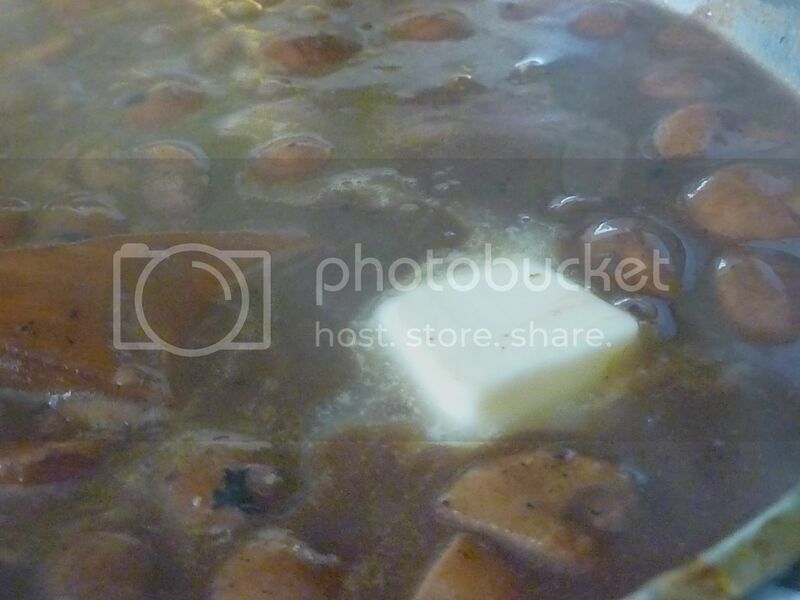 Slowly add beef broth and wine; return to simmer. Season with salt and pepper as needed. Add butter; serve sauce over steak.